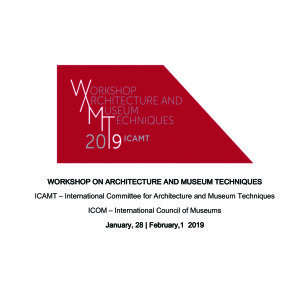 ICAMT is organizing its third edition of international English speaking workshop on Architecture and Museum Techniques. The first one was held in São Paulo, Brazil, in 2016, the second in Lisbon, Portugal, in 2018, and the third edition will take place in Milan, Italy, from January 28th to February 1st. 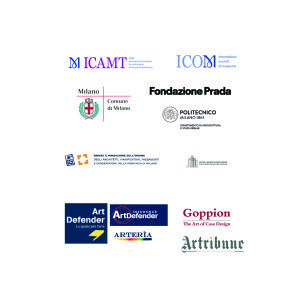 The Workshop, coordinated by Alessandra Rosso, will be held at the Palazzo Reale Auditorium, the Politecnico di Milano, the Ordine Degli Architetti della Provincia di Milano, Fondazione Prada, Castello Sforzesco, Pinacoteca Ambrosiana, Museo del 900, Pinacoteca Nazionale di Brera, Galleria D’Arte Moderna e Casa Museo Boschi Di Stefano as well as many museums. The themes included in the program are: sustainability and museum management, Exhibition concept and design thinking, the impact of collections evaluation and climate control and Storage Facilities. A well balanced set of subjects that allow professionals and students of architecture, engineering, museology, arts, curator ship and similar areas to improve their skills in this fields, thanks to the contribution of technical notions, design, extra specialized lectures. The methodology used is developed by Maddalena D’Alfonso – an architect who is specialized in Exhibit Design Divulgation – over 15 years of teaching has been inspired by coopetition or co-opetition: a neologism coined to describe cooperative competition. Based on games and social interdependence theories, some studies investigate the presence of simultaneous cooperation and competition among functional units – the antecedents of coopetition – and its impact on knowledge sharing behaviors. Each morning we will hear lectures given by national and international speakers; after lunch the working groups will be given time to work together and, in the afternoon, we will do technical site visits. CINDY ZALM (Museum Volkerkunde – National Museum of Ethnology – Leiden – the Netherlands).